Max L. Porter, Ph.D., Hon.M., PE, ASCE, CFC, FACI, TMS is the CEO of Porter Engineering, LLC. He is also an honorary professor at Iowa State University. As an expert on structural engineering, he offers his expertise by teaching structural engineering programs, which are not limited to courses that are focused on the reinforcement of concrete structures and masonry structures. He also conducts research, offers consulting services, and carries out forensic analyses. 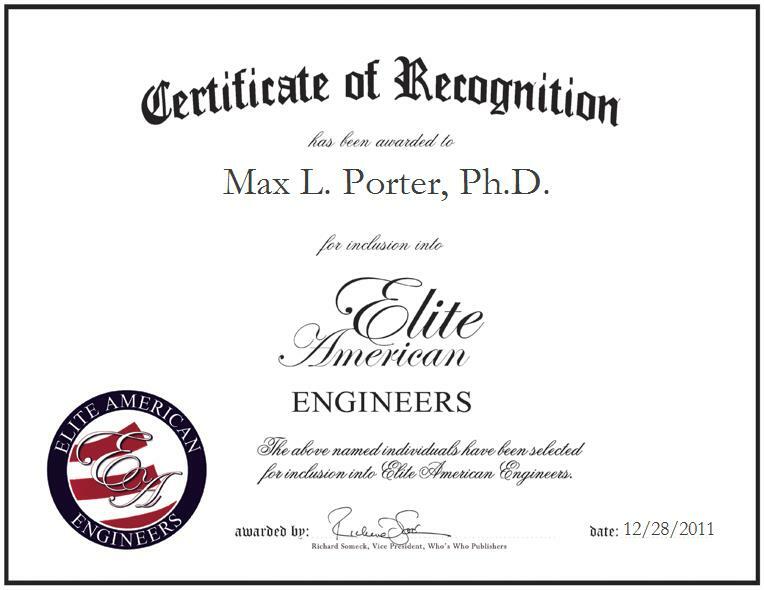 Dr. Porter has garnered a reputation of distinction for his wealth of knowledge and peerless dedication to his field; he recently became an honorary member o the American Society of Civil Engineers. He also remains abreast of trends and developments in engineering as a member of such prominent organizations as The Masonry Society, the American Academy of Forensic Sciences, the American College of Forensic Examiners, and the Earthquake Engineering Research Institute. With more than 45 years of professional experience and a sophisticated skill set, he continuously strives for excellence in his every endeavor.